Variable pricing, why are sports around the world doing it and why is it confusing fans? In a different Sports Geek Podcast I break down the AFL variable pricing for MCG and Etihad. Which big guest will be on next episode of Beers, Blokes & Business. 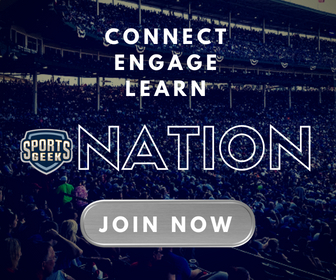 Have you signed up for Sports Geek News? You missed this last week. Help me improve this podcast, I need your feedback. Thanks to Dan McLaren from UK Sports Network (and guest on ep #38) for inviting me to #DSLondon on April 22, looking forward to meeting some #sportsbiz people on my trip. Grab a ticket and I'll see you there.